We are one of the leading manufacturer and supplier of Fastening Tools. FEIN is the expert when it comes to professional and extremely reliable power tools and special application solutions in the metal, interior work and automotive fields. We deals with Drivers,Guns,Wrenches,Accutec. High screw connection quality thanks to extremely low tightening tolerances. 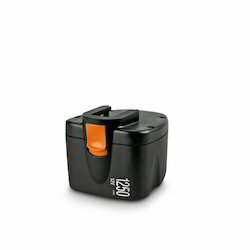 In conjunction with the motor’s high level of effi ciency, FEIN lithium-ion batteries deliver the perfect combination of low weight and high performance. Their extremely long service lives are the result of individual cell monitoring, which protects the batteries from overload, overheating and total discharge, and the particularly effi cient charging procedure. The low internal resistance of the high-quality cells minimises the build-up of heatin the battery. The battery can therefore be housed in a closed and dust-resistant housing, which also extends the service life. 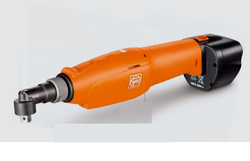 The FEINlithium-ion technology not only allows you to complete screwconnections very quickly, but enables considerably more screwconnections per battery charge too - without the need forlaborious maintenance and delivering the outstanding precision you've come to expect from FEIN. "Made in Germany" experience and quality.FEIN has been designing, developing and manufacturingscrewdrivers for volume production for more than 40 years.Only using high-quality materials is as much a matter of coursefor FEIN as constant process monitoring and "Made in Germany"production. This experience and expertise allows us to createscrewdrivers that are ideally adapted to the increasingly stringentquality requirements in industrial volume production. The two-stage cordless shut-off screwdriver with separate settingsfor the switching point and the tightening speed.Quality is a key factor for success. For years now, screw connectionshave had to meet constantly rising industrial standards. 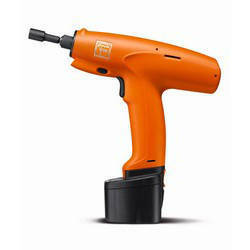 Inits ACCUTEC screwdriver range, FEIN offers optimum solutions forhigh-quality screwed connections from 0.5 to 25 Nm. We havemany years of experience which will guarantee perfect results withcomfortable, fatigue-free and very reliable operation. The bestexamples The new ACCUTEC ASW 9-10 offset screwdrivers and thetried and tested ASM 9 two-stage screwdrivers for industrial volumeproduction.Indestructible technology, well thought-out design, maximumfunctionality and very easy to operate FEIN is satisfying the risingquality standards - and not just in the automobile industry. The FEIN ASM 9 is a two-stage shut-off screwdriver with theTempomat facility. It fulfi ls the stringent speed and accuracyrequirements of industrial serial production. The fi rst high-speedstage inserts the screw quickly. When the required threshold valuehas been reached, it automatically switches to a second, lowerspeed. This can be set individually via a coding process. This is idealfor soft and delicate screw connections to 6 Nm, such as hose clips,because the settling of the connection is so much more accurate. The FEIN ACCUTEC screwdriver ASM with mid-mounted handle designed to meet the most stringent speed and precision requirements. The electronically controlled motor speed keeps the nominal speed constant over a wide torque range until thecut-out torque is reached. This saves time when you’re making soft screw connections. This technology is also used in the lower second speed which can be set on the two-stage screwdriver. Enabling considerably more screw connections per battery charge, the FEIN lithium-ion battery also ensures longer periods of use in assembly applications. The FEIN ACCUTEC screwdriver ASM with a mid-mounted handle designed to meet the most stringent speed and precision requirements. The electronically controlled motor speed keeps the nominal speed constant over a wide torque range until the cut-out torque is reached. This saves time when you’re making soft screw connections. This technology is also used in the lower second speed which can be set on the two-stage screwdriver. Enabling considerably more screw connections per battery charge, the FEIN lithium-ion battery also ensures longer periods of use in assembly applications. Lightweight, easy to use, flexible and powerful: the advantages of the FEIN cordless screwdrivers come to the fore when there is no mains power supply available. 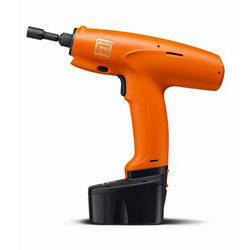 Like all FEIN screwdrivers, our cordless machines have powerful and reliable motors fortough continuous use. The excellent ergonomics, vibration damping soft grip and good balance make it easy to use overhead. The 10-level torque adjustment and continuously variable speed control provide exactly the level of power you need for the task at hand. 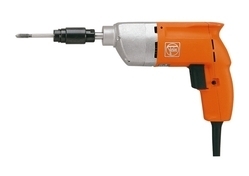 Cordless drill/drivers are used in a variety of situations from universal installation jobs to heavy duty. Extremely reliable and custom-made for the intended application, FEIN power screwdrivers produce top-class results and optimum screw connection quality – even in the toughest conditions. Whether in industrial volume production, metal construction, or interior work and renovation. Other benefits of FEIN power screwdrivers include exemplary ergonomics and very low weight, so you can achieve professional, efficient results – effortlessly. Day after day. For many years to come. Different jobs demand different tools. 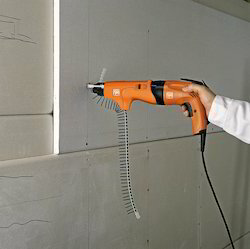 Whether you’re attaching plasterboard panels to wood or metal substructures or laying an intermediate layer of particle board on a beam construction, you will find the ideal power tool among the FEIN range of drywall screw guns. FEIN drywall screw guns come with a range of speeds and clutch to cover virtually any screw driving operation in construction work. Powerful, lightweight, handy and with maximum precision and reliability, FEIN drywall screw guns make work on floors, walls and overhead work quick and not tiring. With outstanding performance and stability. For every job.Every day. The specialist tool for drywall and interior work with the quiet clutch. 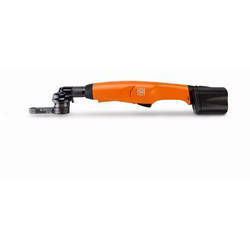 The flexible tool for drywall and interior work with adjustable clutch. Auto feed screwdriver for quickly repeated screw fittings. 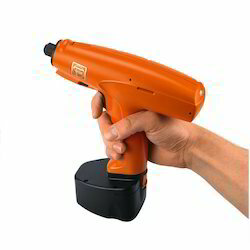 We are the leading and prominent Manufacturer, Exporter and Distributor of Fein Auto-Feed Screwdriver. Impact wrenches are used for a huge range of tasks. For example, for heavy assembly work, in mechanical engineering or in the services sector by locksmiths, roof fitters, and carpenters. All these applications require particularly high levels of torque. FEIN impact wrenches reach between 100 and 700 Nm and are available with or without electronic controls and optionally with FEIN controls. 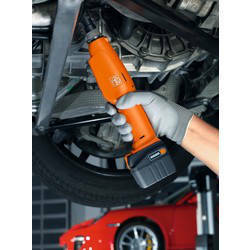 The FEIN kinetic handle makes the tool pleasant to work with, with no reaction torque. The wrenches have outstanding ergonomics and are characterized by maximum efficiency and reliability. The user-focused and practical range of accessories cover a whole host of application areas and ensure optimum results. Electronic torque preselection for different torques depending on the screw driving operation. 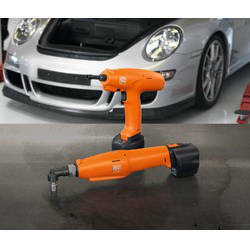 FEIN impact system for recoil-free working. Integral switch for ease of operation. Impact wrenches are used for a huge range of tasks. For example, for heavy assembly work, in mechanical engineering or in the services sector by locksmiths, roof fitters and carpenters. All these applications require particularly high levels of torque. FEIN impact wrenches reach between 100 and 700 Nm and are available with or without electronic controls and optionally with FEIN controls. The FEIN kinetic handle makes the tool pleasant to work with, with no reaction torque. The wrenches have outstanding ergonomics and are characterised by maximum efficiency and reliability. The user-focused and practical rangeof accessories cover a whole host of application areas and ensure optimum results. 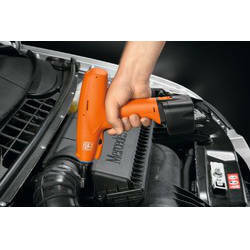 FEIN kinetic handle for fatigue free and safe working. 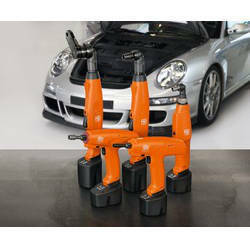 Repeat precise torque settings with FEIN controls. 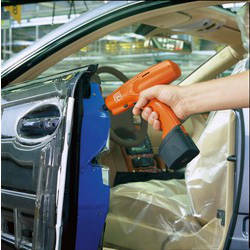 FEIN kinetic handle for fatigue-free and safe working. Different jobs demand different tools. 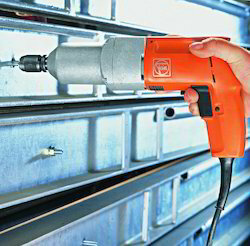 Whether you’re attaching plasterboard panels to wood or metal substructures or laying an intermediate layer of particle board on a beam construction, you will find the ideal power tool among the FEIN range of dry wallscrew guns. FEIN dry wall screw guns come with a range of speeds and clutches to cover virtually any screwdriving operation in construction work. 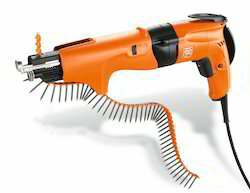 Powerful, lightweight, handy and with maximum precision and reliability, FEIN dry wall screw guns make work on floors, walls and overhead work quick and non tiring.With outstanding performance and stability. For every job.Every day. 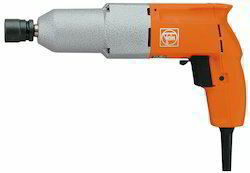 The specialist tool for drywall and interior work with quiet clutch. Speed-optimised; for rapid fixing of plasterboard to wood or metal frames. Silent FEIN CLIC-STOP clutch for working in offices, hospitals etc.without causing a disturbance. The depth stop supplied means that drywall is not damaged and you need simply grout after screwdriving. One of the lightest screwdrivers in its class. Rapid changeover to collated strips. 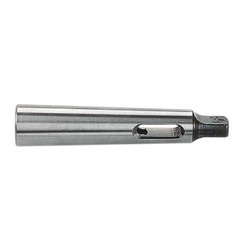 Autofeed screwdriver for quickly repeated screw fittings. Speed-optimized; for the rapid fixing of plasterboard to wood or metal frames. The depth stop supplied means that drywall is not damaged and you need simply grout after screw driving. The rapid changeover to collated strips. 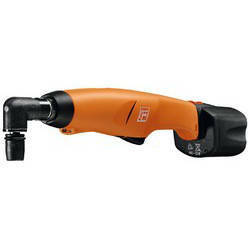 FEIN universal screwdrivers particularly suitable for interior work and renovation. With adjustable torque and an adjustable clutch for optimum results in wood or metal. The driving depth can be accurately adjusted for hard and soft applications using the depth stop accessories. The excellent ergonomic shape lets you work comfortably and without fatigue. The powerful motors successfully finish off any screwdriving operation. In combination with the selectable fixed torque, also suitable for more challenging work with dowel screws or occasional drilling with drill bits. The infinitely variable electronic speed control gives you the sensitivity you need. Perfect results every time with the quality that is synonymous with FEIN power tools. 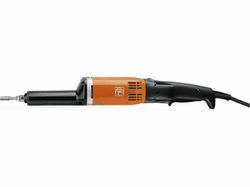 FEIN high power motor finishes off demanding screwdriving application efficiency. Adjustable, power-sensitive FEIN universal clutch provides the right torque for any screwdriving operation. Ideal for screw connections with self-drilling screws in stainless steel up to 2mm. Fixed torque for working with dowel screws. Excellent rotation is suited to drill bits. Integral switch with toggle switch for forwarding/reverse rotation. Depth stop accessory for precise screw depth settings also available. Self-drilling screwdrivers are very popular. They are used in roof and facade construction; heating, air conditioning, and ventilation; metal and plant construction; and assembling vehicle bodies and containers. FEIN self-drilling screwdrivers with their stable, powerful motors are characterized by their extremely low weight, excellent ergonomics, and high speed. They are optimized for screw connections of up to 4.8 mm and 6.3 mm. The optimally selected speeds guarantee precise screw driving results and help the driver bit from wearing out. The self-drilling screwdriver is complemented by perfectly coordinated accessories. So you achieve high-quality screw connections and perfect results. Safe working with self-drilling and thread-molding screws up to 4.8mm with or without sealing disc and also suitable for wing screws. We are the leading and prominent supplier of Reducing Sleeves made available to our clients at competitive prices. Perfect for work on floor coverings. 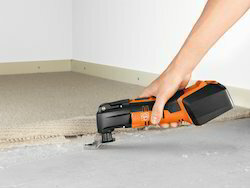 The FEIN MULTIMASTER covers the entire range of applications when it comes to flooring – from the effortless removal of old coverings such as carpet or PVC and precise cutting of parquet, laminate, skirting boards and door frames to precise sanding of parquet in difficult corners and on edges. With its range of accessories, which were specially developed for the individual applications, and comfortable handling, the FEIN MULTIMASTER saves a great deal of time and effort in all work steps. Compact and ergonomic design, the FEIN ACCUTEC baton offset screwdriver ASW can also handle screw connections in narrow, hard-to-reach places. Its extremely low tightening tolerances and the maintenance-free, brushless EC make it the ideal tool for repeated industrial screw connections in the automotive and supplier industries, aviation and space technology or machine construction. The shortest, lightest process-optimised offset screwdriver for up to 10 Nm on the market. The tried-and-tested FEIN ACCUTEC screwdrivers have been synonymous with precision and cost-effi ciency in volume production for years. 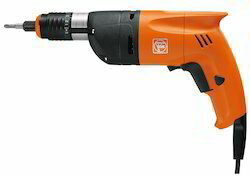 Durable technology, a sophisticated design, outstanding functionality and a simple operating concept make them the perfect solution for high-quality screw connections in a torque range from 0.5 to 25 Nm.Equipped with FEIN lithium-ion batteries, the latest generation of products in the FEIN ACCUTEC range now satisfy even more stringent quality and cost-efficiency requirements. 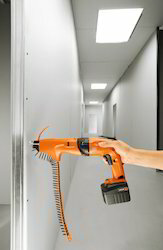 The FEIN lithium-ion technology not only allows you to complete screw connections very quickly, but enables considerably more screw connections per battery charge too – without the need for laborious maintenance and delivering the outstanding precision you’ve come to expect from FEIN. “Made in Germany" experience and quality. FEIN has been designing, developing and manufacturing screwdrivers for volume production for more than 40 years. Only using high-quality materials is as much a matter of course for FEIN as constant process monitoring and “Made in Germany” production. This experience and expertise allows us to create screwdrivers that are ideally adapted to the increasingly stringent quality requirements in industrial volume production. At the end of the day the job should be finished - not the persondoing it. 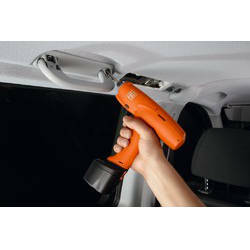 Presenting the FEIN offset screwdriver MAMMUT - fortricky jobs in difficult-to-access areas. With extremely hightorque for soft screwdriving operations. The FEIN offset screwdrivers extremely robust and was specially designed for the professional processing of large wood screws, dowel screws andthreaded bars, threaded inserts and door/window frame dowels.The 1/2 square tool holder and integrated forward/reverserotation make this a versatile tool suitable for many different applications. The FEIN offset screwdriver becomes a regular drillwith the tool-free addition of a removable drill chuck.The FEIN offset screwdriver makes tough jobs easier.It's flexible, reliable and safe. Extremely high torque for soft screwdriving operations in wooden beams and prefabricated house construction. 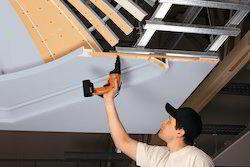 Small dimensions make easy work of fitting screws in difficult-to reach areas. Robust for heavy duty applications. Able to handle extreme loads. Our professionals put forth SCT Screw Guns that use the momentum provided by the machinery in order to firmly inject screws into the desired surface. 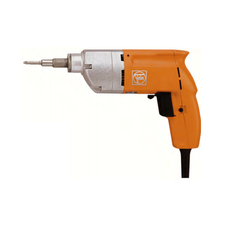 These screw guns are designed for the purpose of providing the user with a firm grip over the equipment. This equipment can be easily used by laymen. The tried-and-tested FEIN ACCUTEC screwdrivers have been synonymous with precision and cost-effi ciency in volume production for years. Durable technology, a sophisticated design, outstanding functionality and a simple operating concept make them the perfect solution for high-quality screw connections in a torque range from 0.5 to 25 Nm.Equipped with FEIN lithium-ion batteries, the latest generation of products in the FEIN ACCUTEC range now satisfy even more stringent quality and cost-effi ciency requirements. 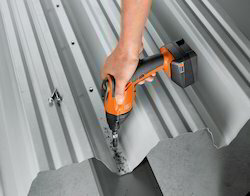 The FEIN lithium-ion technology not only allows you to complete screw connections very quickly, but enables considerably more screwconnections per battery charge too – without the need for laborious maintenance and delivering the outstanding precision you’ve come to expect from FEIN. “Made in Germany" experience and quality.FEIN has been designing, developing and manufacturing screwdrivers for volume production for more than 40 years. Only using high-quality materials is as much a matter of course for FEIN as constant process monitoring and “Made in Germany” production. This experience and expertise allows us to create screwdrivers that are ideally adapted to the increasingly stringent quality requirements in industrial volume production. The FEIN ACCUTEC screwdriver ASM with mid-mounted handledesigned to meet the most stringent speed and precisionrequirements. The electronically controlled motor speed keepsthe nominal speed constant over a wide torque range until thecut-out torque is reached. This saves time when you're makingsoft screw connections. 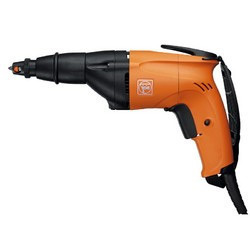 This technology is also used in the lowersecond speed which can be set on the two-stage screwdriver.Enabling considerably more screw connections per battery charge,the FEIN lithium-ion battery also ensures longer periods of use inassembly applications. The results of the numerous tests that a FEIN ACCUTEC undergoes before being launched on the market is also proof of this. Each tool has a constantly precise tightening torque regardless of the screwdriving application – which has been proven in accordance with ISO 5393 in the machine capability test according to VDI/VDE 2647. The impressive result is: a CmK value > 1.67 ± 10% referred to 6 sigma.FEIN has been designing, developing and manufacturing screwdrivers for volume production for more than 40 years. Only using high-quality materials is as much a matter of coursefor FEIN as constant process monitoring and “Made in Germany” production. This experience and expertise allows us to create screwdrivers that are ideally adapted to the increasingly stringent quality requirements in industrial volume production. compact and ergonomic design, the FEIN ACCUTEC baton offset screwdriver ASW can also handle screw connections in narrow, hard-to-reach places. Its extremely low tightening tolerances and the maintenance-free, brushless EC make it the ideal tool for repeated industrial screw connections in the automotive and supplier industries, aviation and space technologyor machine construction. compact and ergonomic design, the FEIN ACCUTEC baton offset screwdriver ASW can also handle screw connections in narrow, hard-to-reach places. 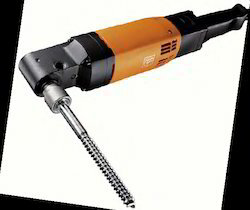 Its extremely low tightening tolerances and the maintenance-free, brushless EC make it the ideal tool for repeated industrial screw connections in the automotive and supplier industries, aviation and space technology or machine construction.With the ACCUTEC baton offset screwdrivers, FEIN offers perfect solutions for your production processes, responding to the need for increasingly compact assembly procedures and hard-to-reach screw connections. That’s because it’s extremely easy to combine a variety of application-oriented tongue tools. In addition to the standard range, user-specific special solutions are also available. 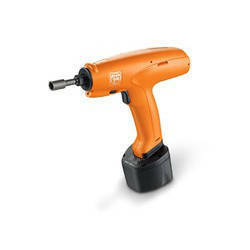 FEIN ACCUTEC screwdrivers are extremely economical to use. They are made with state of the art, reliable technology. All ACCUTEC models have maintenance-free, brush less motors which give much longer service than traditional motors; there is no need to replace them and the ACCUTEC shut off screwdrivers can be used for much longer with 80% lower maintenance costs.FEIN ACCUTEC screwdrivers satisfy the stringent requirements placed on screw connection tolerances: irrespective of the application, tightening torques remain at the same level. The restart lock permanently monitors the battery charge. If it is no longer sufficient for the screw connection, the machine cuts out. It is not possible to continue until the battery has been replaced. The restart delay locks the machine after the screw connection has been made, avoiding excessive tightening.Quality is a key factor for success. For years now, screw connection shave had to meet constantly rising industrial standards. In its ACCUTEC screwdriver range, FEIN offers optimum solutions for high-quality screwed connections from 0.5 to 25 Nm. We have many years of experience which will guarantee perfect results with comfortable, fatigue-free and very reliable operation. The best examples: The new ACCUTEC ASW 9-10 offset screwdrivers and the tried and tested ASM 9 two-stage screwdrivers for industrial volume production. Shorter, lighter and more accurate: The new FEIN ACCUTEC ASW 9-10 offset screwdriver is impressive in every way - in the automobile or automotive supplies industry, in aerospace applications, in engineering or in the manufacture of white goods. Maintaining high levels of process reliability, it delivers consistently accurate results with low tightening tolerances for industrial volume screw connections up to 10 Nm. Robust and compact, it is also ideal for use where access is diffi cult. Its extremely durable brushless EC motor gives up to 30% more screw connections per battery charge, reducing maintenance costs by a considerable 80 %.Quality is a key factor for success. For years now, screw connectionshave had to meet constantly rising industrial standards. In its ACCUTEC screwdriver range, FEIN offers optimum solutions for high-quality screwed connections from 0.5 to 25 Nm. We havemany years of experience which will guarantee perfect results with comfortable, fatigue-free and very reliable operation. 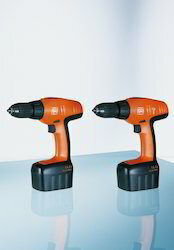 The best examples: The new ACCUTEC ASW 9-10 offset screwdrivers and the tried and tested ASM 9 two-stage screwdrivers for industrial volume production.Indestructible technology, well thought-out design, maximum functionality and very easy to operate: FEIN is satisfying the rising quality standards – and not just in the automobile industry. FEIN ACCUTEC screwdrivers have been synonymous with precision and cost-effi ciency in volume production for years. Durable technology,a sophisticated design, outstanding functionality and a simple operating concept make them the perfect solution for high-quality screw connections in a torque range from 0.5 to 25 Nm.FEIN ACCUTEC undergoes before being launched on the market is also proof of this. Each tool has a constantly precise tightening torque regardless of the screwdriving application – which has been proven in accordance with ISO 5393 in the machine capability test according to VDI/VDE 2647. The impressive result is: a CmK value > 1.67 ± 10% referred to 6 sigma.In the FEIN ACCUTEC the speed remains constant until the set torque is reached.The FEIN ACCUTEC screwdriver ASM with mid-mounted handle designed to meet the most stringent speed and precision requirements. The electronically controlled motor speed keepsthe nominal speed constant over a wide torque range until the cut-out torque is reached. This saves time when you’re making soft screw connections. This technology is also used in the lower second speed which can be set on the two-stage screwdriver. Enabling considerably more screw connections per battery charge, the FEIN lithium-ion battery also ensures longer periods of use in assembly applications. 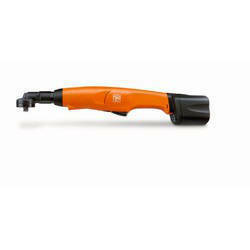 FEIN ACCUTEC baton offset screwdriver ASW can also handle screw connections in narrow, hard-to-reach places. Its extremely low tightening tolerances and the maintenance-free, brushless EC make it the ideal tool for repeated industrial screw connections in the automotive and supplier industries, aviation and space technologyor machine construction. The FEIN ACCUTEC baton offset screwdriver with tongue tool and angled head in a closed design for hard-to-reach screw connections up to WAF 13 and 17.5 Nm. Special sizes available on request.Pipelines, stud bolts and Bowden cables can be reliably screwed into place with precision and ease using tongue tools and an angled head with an open design.With the clamping adapter for the ASW 9-10, closed tongue tools can be retrofitted on the standard FEIN angled head with ¼" outer square.FEIN ACCUTEC baton offset screwdriver ASW can also handle screw connections in narrow, hard-to-reach places. Its extremely low tighteningtolerances and the maintenance-free, brushless EC make it the ideal tool for repeated industrial screw connections in the automotive and supplier industries, aviation and space technology or machine construction. FEIN ACCUTEC ASW 9-10 offset screwdriver is impressive in every way - in the automobile or automotive supplies industry, in aerospace applications, in engineering or in the manufacture of white goods. Maintaining high levels of process reliability, it delivers consistently accurate results with low tightening tolerances for industrial volume screwconnections up to 10 Nm. Robust and compact, it is also ideal for use where access is diffi cult. Its extremely durable brushless EC motor gives up to 30% more screw connections per battery charge,reducing maintenance costs by a considerable 80 %. 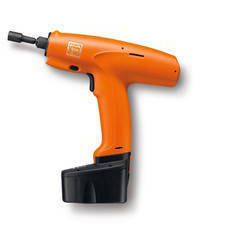 FEIN ACCUTEC is available with different tool mountings like 3/8" square head, 1/4" square head,1/4" hexagonal socket. With the ACCUTEC baton offset screwdrivers, FEIN offers perfect solutions for your production processes, responding to the need for increasingly compact assembly procedures and hard-to-reach screw connections. That’s because it’s extremely easy to combine a variety of application-oriented tongue tools. In addition to the standard range, user-specific special solutions are also available.The FEIN ACCUTEC baton offset screwdriver with tongue tool and angled head in a closed design for hard-to-reach screw connections up to WAF 13 and 17.5 Nm. 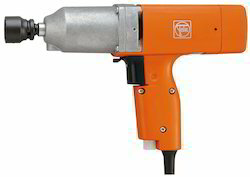 Special sizes available on request.Pipelines, stud bolts and Bowden cables can be reliably screwed into place with precision and ease using tongue tools and an angled head with an open design.FEIN inline ACCUTEC baton offset screwdriver: ideal for perfect screw connections on hard-to-reach pipelines with open or closed inline tongue tools up to WAF 11 and torques up to 12.4 Nm.With the clamping adapter for the ASW 9-10, closed tongue tools can be retrofitted on the standard FEIN angled head with ¼" outer square. Looking for Fastening Tools ?